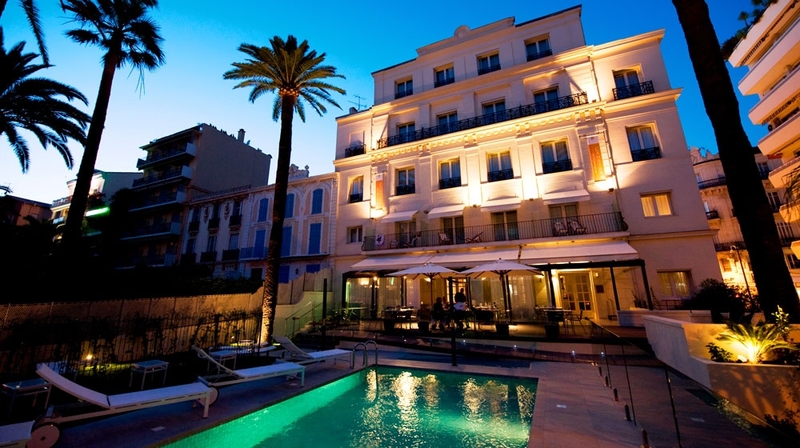 The stylish and ultra cool hotel Convent de la Missio, sits right in the heart of Palma�s old town, and is brimming with all the elements required of a hip minimalist hotel. 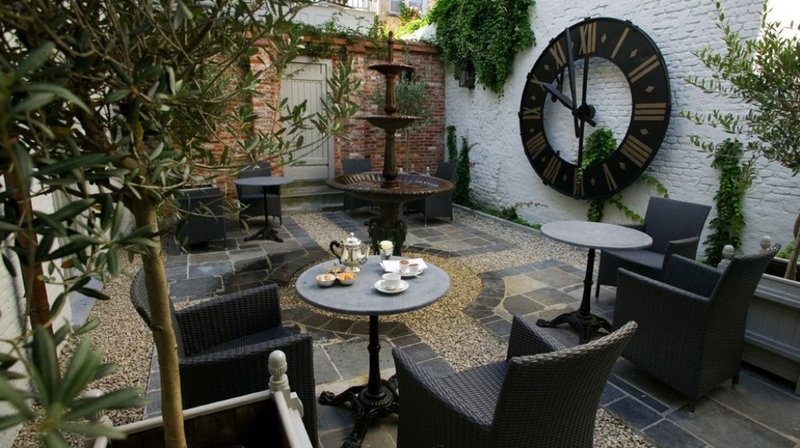 A luxury boutique hotel that is perfect for chilled-out stays. 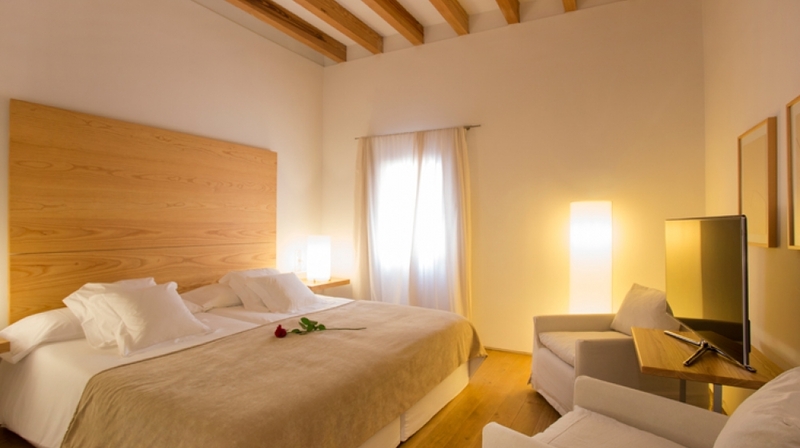 This little gem is tucked away amongst the winding cobbled streets of the historic old town, yet the hustle and bustling of Palma is only a short stroll away. 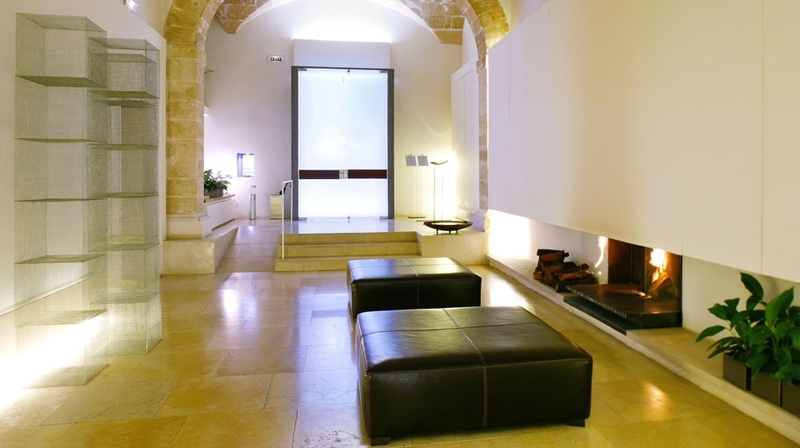 Inside the use of light and space rewards guests with high vaulted ceilings and limestone walls that blend effortlessly with the contemporary minimalist design. Convent de la Missió's 14 rooms are all individually designed to fully take advantage of their unique architecture and space. 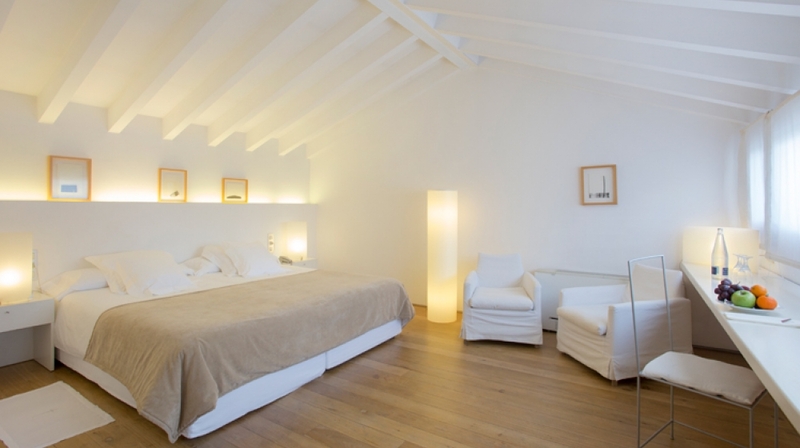 They are decorated in a pure, minimalist style, with pale oak flooring and exposed beams and feature chic bathrooms. Superior Double Room: Overlooking the main street, these minimalist Double Rooms feature a unique layout, some are provided with a terrace and others with a balcony. Junior Suite: Minimalist designed junior suite with a unique layout, mainly overlook the gardens, some provided with a terrace and others with a balcony. 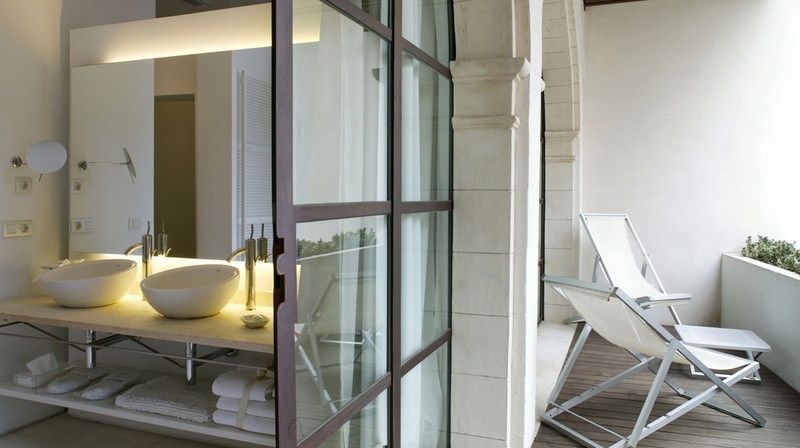 Suite: Overlooking the gardens, each suite is different in layout and distribution, but all are decorated in a minimalist style, combining antique furniture with modern designer objects. 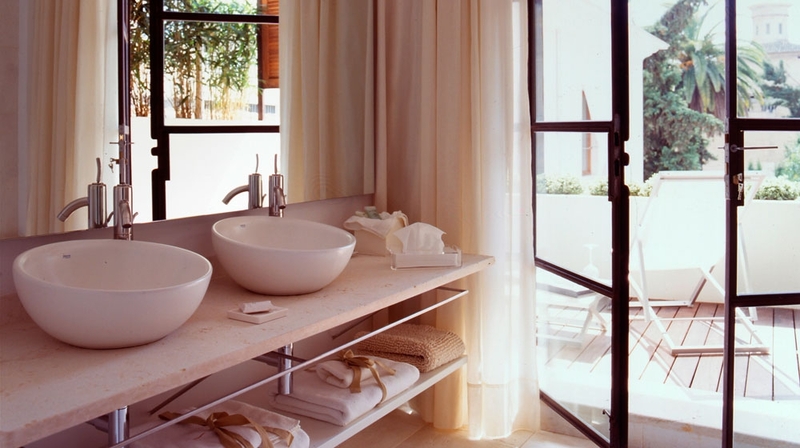 Extra amenities include Nespresso coffee machines and Bulgari bathroom products. Rooftop terrace with Zen-style garden, teak decking and deckchairs. 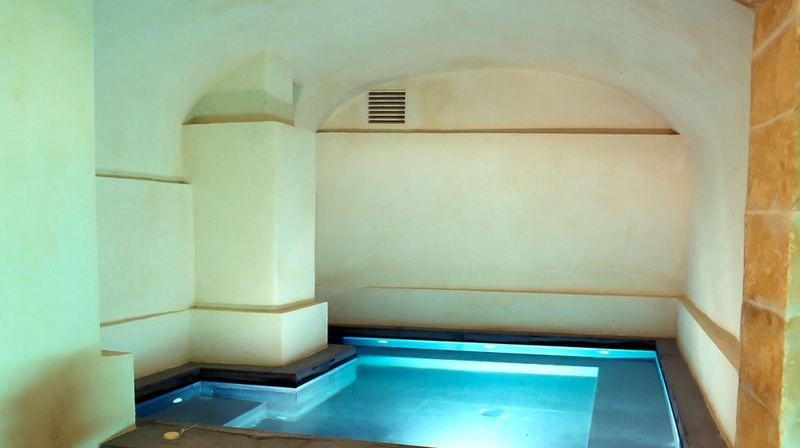 Other delights include a Zen-inspired roof terrace, a whirlpool and sauna down in the old crypt and an art gallery featuring ceramic and photo exhibitions. There's a sleek bar, a superb restaurant and a funky sitting room complete with bean bags, glossy design books and a log fire for winter evenings. 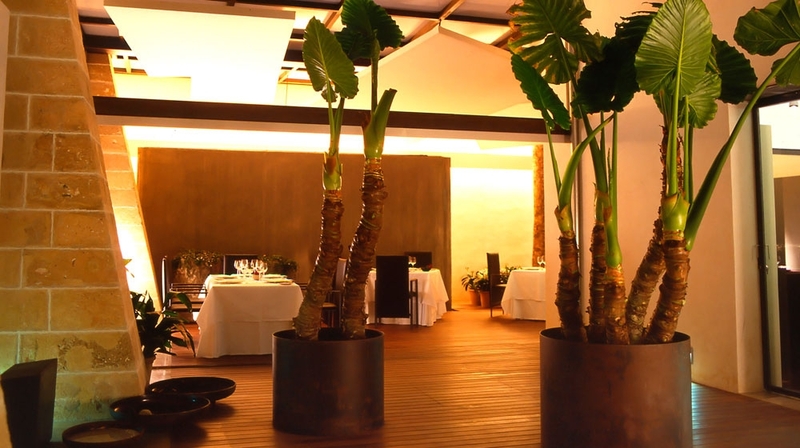 The new restaurant Simply Fosh from the famous Chef Marc Fosh, considered one of the best chefs in Spain, enable people to enjoy excellent cuisine for reasonable prices. 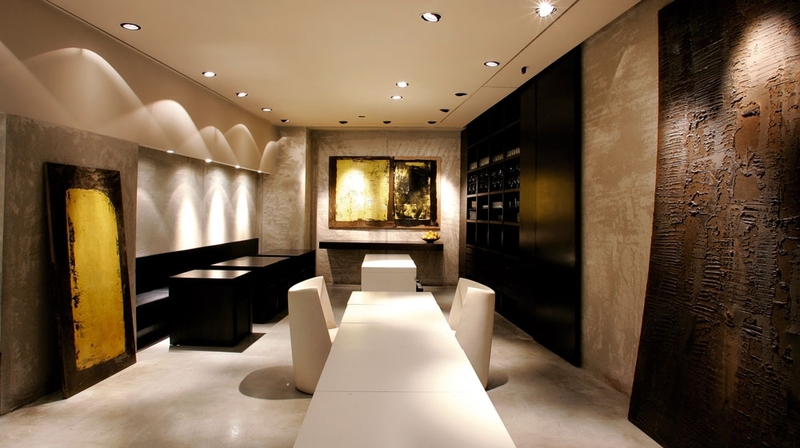 Here you can enjoy local dishes backed by an excellent wine list, if you book well in advance � the restaurant is popular with locals. 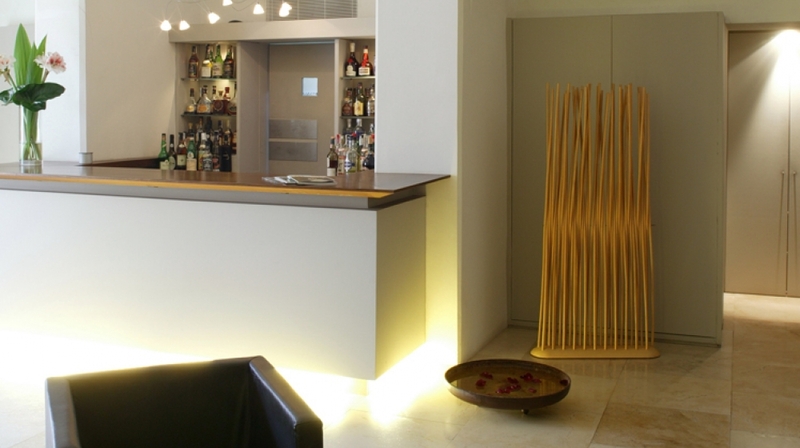 Room service: Special menu available 8am�10pm, except on Saturday lunchtimes and Sundays. Palma's harbour is close by where you can find some of the world's most expensive yachts. By Plane: The nearest airport is Palma, 7km away.